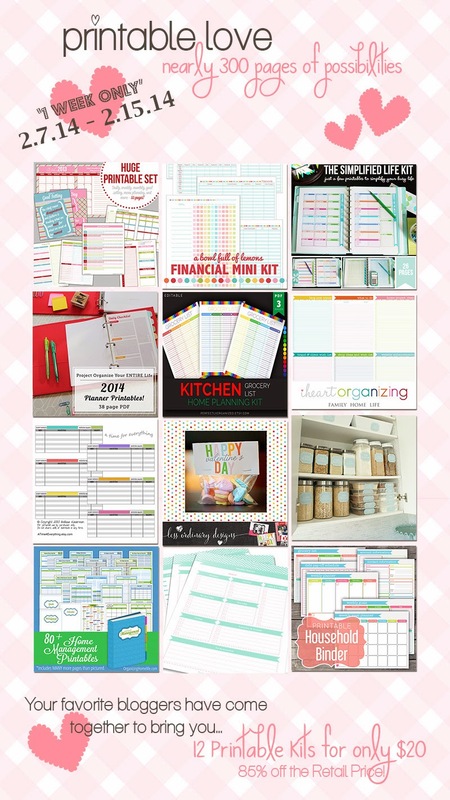 Amazing Organizing Printables Bundle to Help You Get Organized! 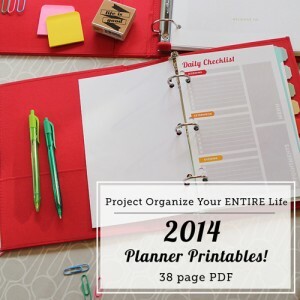 | From Overwhelmed to Organized: Amazing Organizing Printables Bundle to Help You Get Organized! 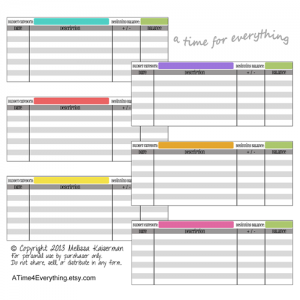 Do you love printables & customizing your personal planner? It's one of my absolute favorite things to do. If you are anything like me, the Printable Love Bundle (created by several of the most popular lifestyle bloggers) is the perfect kit for you! Whether you use a Filofax planner or a 3 ring Home Management Binder, the Printable Love Bundle has something for everyone. 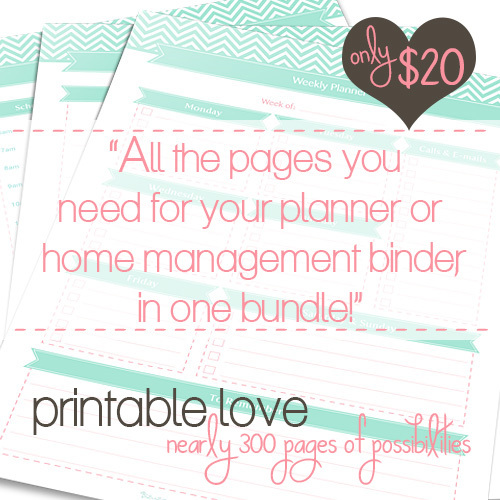 It's the only printable bundle devoted entirely to the love of planning. 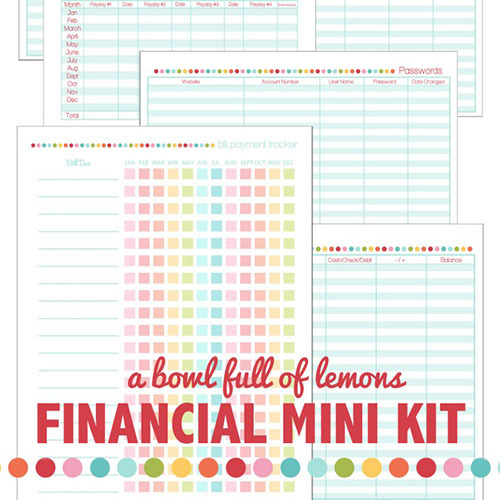 We also threw in some extra fun printables for Valentines Day, the pantry, and your budgeting. For one week only, you have the opportunity to stock up on hundreds of printables for your finances, blog, home, pantry, chores, menu planning, and much more. 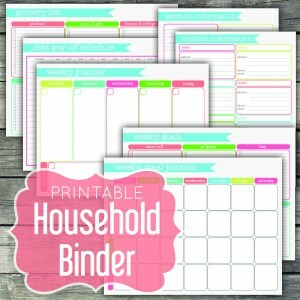 They contain everything you need to create a home management binder or personal planner. The best part about it, these printables can be printed over and over for many years to come. 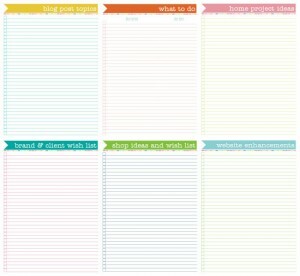 The blog planner kit is a great way for bloggers to 'keep it all together'. Everything from maintaining ideas for daily posts, to keeping track of planned projects and daily to-do items. Enjoy a monthly calendar spread for keeping track of important dates and posts. Run a shop? Gotcha covered. Looking to expand your branding and business? There is a section for those ideas as well. You can also print off standard "Notes" pages for all the other items you want to remember and keep track of. Inside the 38 page printables pack, you’ll find everything you need to manage every aspect of your day-to-day life from cleaning and meal-planning, to scheduling and that never ending to-do list. There’s something for everyone here including two different cleaning systems (are you more of a checklist person or a calendar cleaner?) as well as all the printables in both an 8.5″ x 11″ size AND a 5.5″ x 8.5” size. 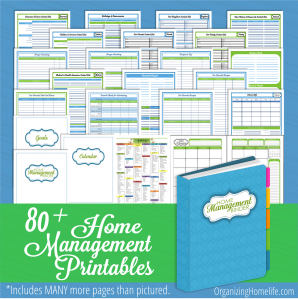 So whether you’re looking to create a home management binder, want to use these in your personal planner you carry around in your bag, or just want a meal plan/to-do list/cleaning chart to stick on the fridge – we’ve got you covered! There are tons of options in this 38 page printable pack – use them all or pick and choose exactly what you need. There’s even a suggested daily cleaning checklist, weekly cleaning schedule, and master cleaning list included. This printable planner kit is perfect to start organizing your days, weeks and months. Putting your tasks onto paper allows you to remember, focus and prioritize. Stop wasting time trying to remember what you were going to do - be more productive and organized! You will receive 4 documents as downloadable PDF files that allow you to print as many pages as you need. All the pages are perpetual: you fill in the dates, so basically you can use it forever! All the captions and content areas are fillable. These templates are for printing on letter size paper (8.5" x 11"), A4 paper (21cm x 29,7cm) or A5/FiloFax size. PLAN and BUY - write down all products you need at home next week - plan what you should buy in separate grocery lists, plan in columns by product categories or sort by shops! Make your mundane things a little more cheerful with bright colors! Place it in your Home Planner to have it near at hand or place it on your freezer or memo board. Be always keep up and Perfectly Organized! Print it out any time you need additional grocery list! 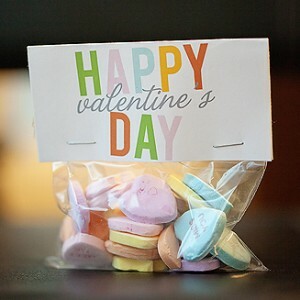 This "Happy Valentine's Day" printable treat bag topper is the perfect personalized valentine's treat! With this unique valentine, your child is sure to be the coolest kid at the party! There is an editable signature area on the pdf so that you can enter your own personal message. Or leave it blank if you'd like to hand write your own! The tags are approximately 4" x 4", so about 2" tall once folded. There are 4 tags per page and you can print as many as you need! Make everyday life just a bit more pretty with The Paper Society's "Vintage Blue" collection of pantry labels. 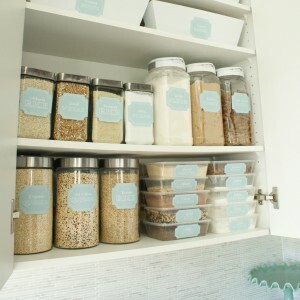 Featuring 48 of the most common pantry items in both square and long shapes, these printable labels are an easy way to bring some organization into your kitchen. Want to keep more detailed track of your cash spending AND have the means to do it while on the go? Print this two-page PDF on 8.5 x 11 paper, write in your category or sub-category names, and trim the logs to size. They will fit perfectly behind the cash dividers in your Divide-It wallet, or you can even adhere them to the outside of a paper envelope. Print as many times as you need! If you have any questions or issues with your Printable Love Bundle, please visit the FAQ page. Look over the questions and answers on the page BEFORE emailing. If you have not found your answer on the FAQ page, please email printablelovebundle at gmail dot com. To ensure that your question is answered in a timely manner, please take care to email at the printable love bundle address (not our personal email address). Please note that due to high email volume, we will do our best to respond within 24 hours - thank you for your patience! When emailing, please include a copy of your Paypal receipt and highlight your issue in the "subject" line. Please download and back up your Printable Love Bundle purchase, AS SOON AS YOU RECEIVE IT. You only have 5 download attempts to access your files. The download link expires on 3/01/14. After that date, we will not be able to provide new links to download. Please remember to back up your files. We are unable to send you copies of the printable bundle that have been deleted or lost. We will not respond to those emails. This is an affiliate post. If you purchase a bundle from my link, I will profit from a percentage of the sales, which helps to cover the expenses of running this blog. Thank you for your support! oh my grosh!!! my heart is pitterpattering so much i can hardly stand it! my eyes are bugging out, i can barely breathe! LOL!! :-) i'm in between paydays but i'm gonna have to borrow the $ to get my bundle - this is an unbelievable deal of this plannerds lifetime! much thanks to all the contributors for their generosity! Love your excitement Bria! It's is an incredible bundle and fantastic deal. Enjoy!